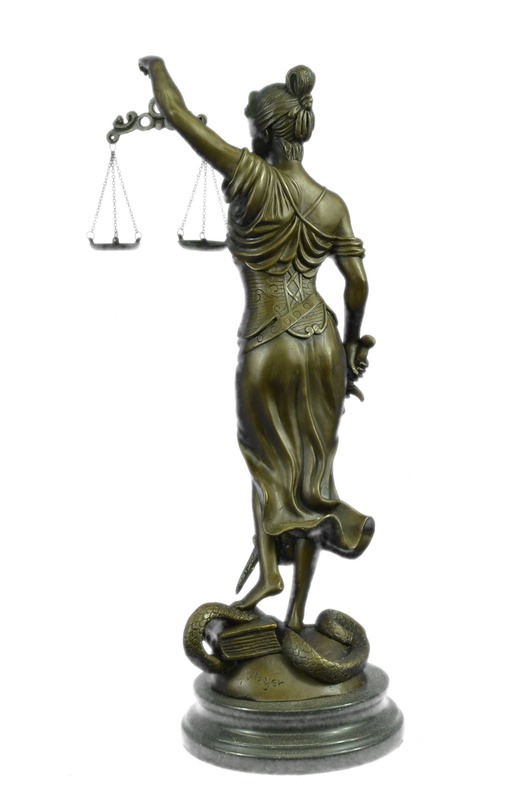 The Bronze Sculpture Is Of Lady Justice (Roman Goddess Of Justice) Who Is The Symbolic Personification Of The Moral Force In Judicial Systems. 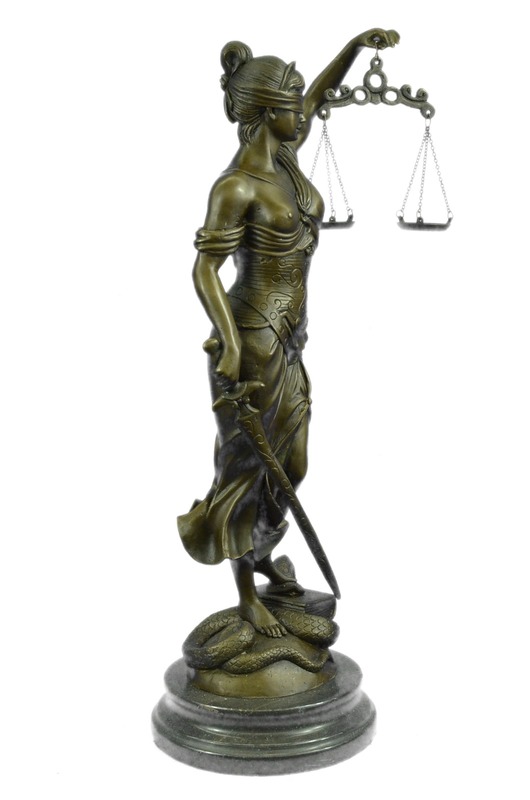 As Anciently Depicted, The Blindfolded Lady Justice, Is Seen Balancing The Scales Of Truth And Fairness From Her Left Hand, Holding A Sword, While Stepping On A Book And A Snake That Coils Around Her Feet. 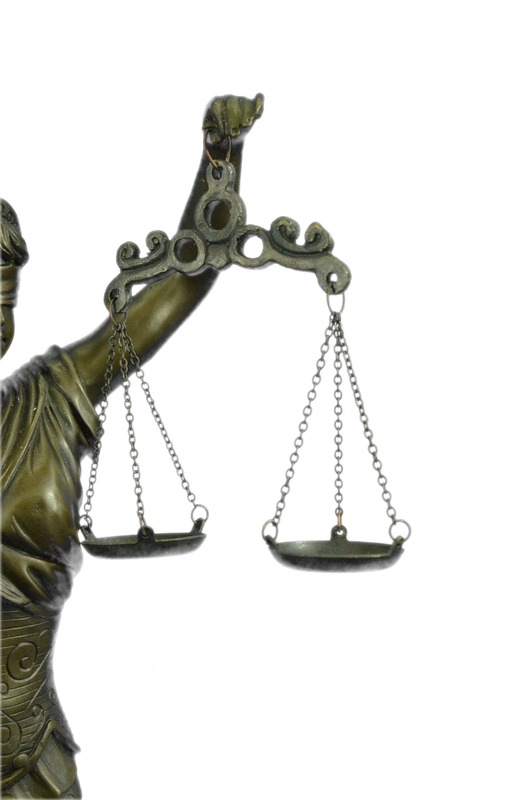 The Scales, Represent Truth And Fairness And Measures The Strength Of A Case'S Support And Opposition. 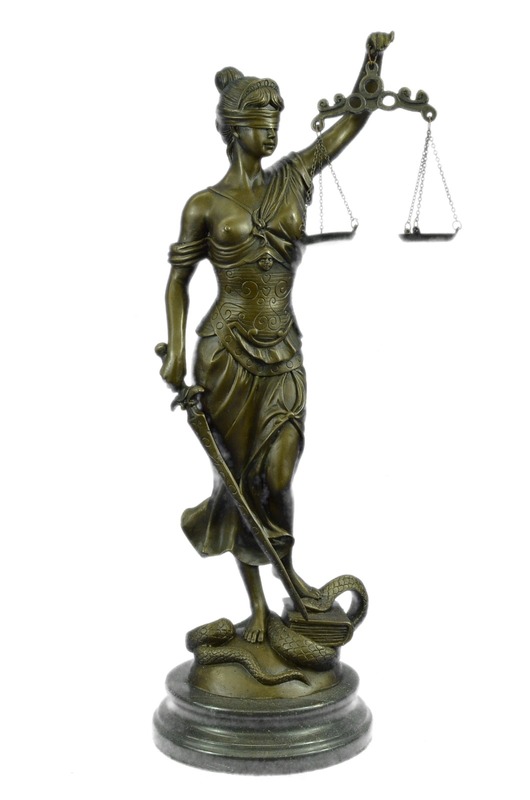 The Blindfold, Represents Objectivity, In That Justice Is (Or Should Be) Meted Out Objectively Without Biases. The Sword, Symbolizes The Power Of Reason And Justice, Which May Be Wielded Either For Or Against Any Party. The Book Represents History; Signifying To Stand Against Wrongdoings Or With The Good Doings Of The Past. The Snake Symbolizes Hatred Hence The Foot That Stops It From Getting Its Grip. 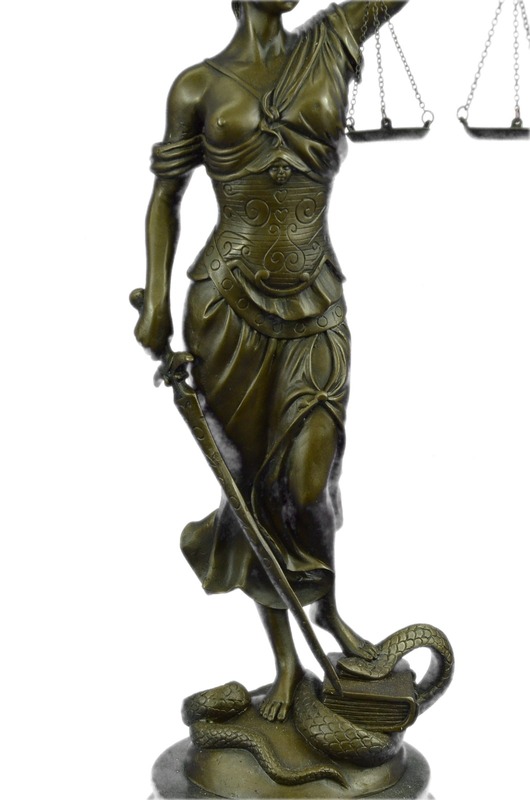 She Was Captured Using The Age-Old Method Of Lost-Wax Casting And Stained With A Brown Patina Finish. 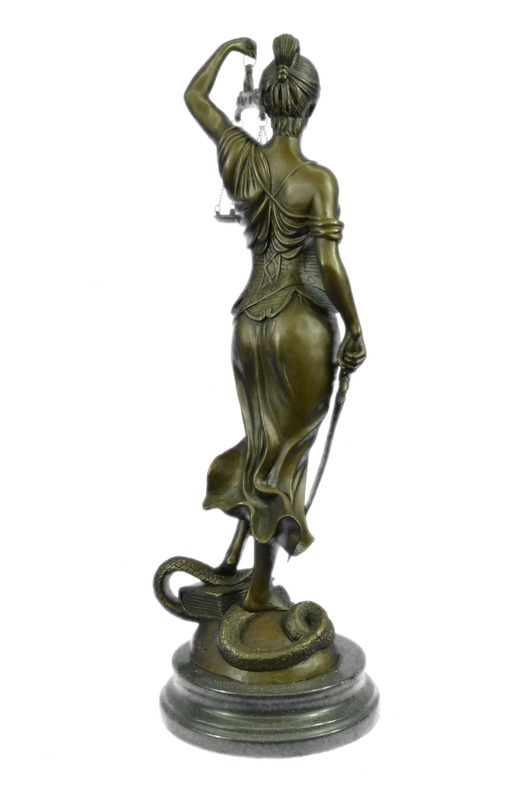 She Is Mounted Upon A Black Marble Base With The Artist Mayer'S Signature.